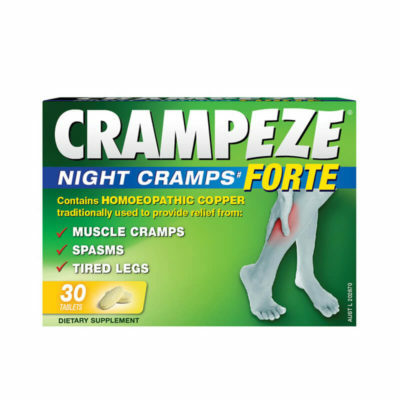 Helps relieve cramps & spasms. 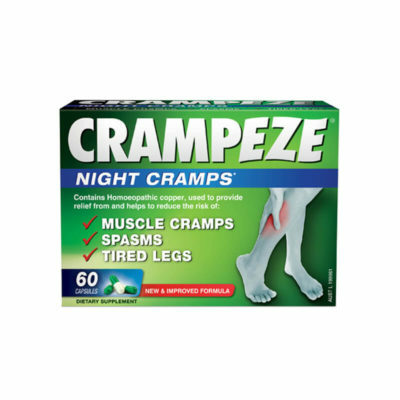 Crampeze offers a wide range of muscular cramp relief products that fit in with your lifestyle and preferences. 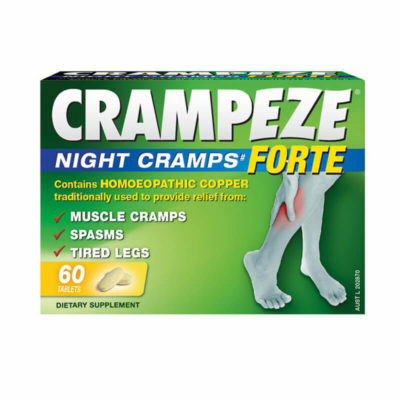 Crampeze products contain proven ingredients to provide cramp relief, such as Magnesium and Homoeopathic Copper or Homoeopathic Viburnum Opulus, which have been traditionally used in Homoeopathic medicine to help relieve jerking, twitching of muscles, cramps and spasms in the calves and feet. 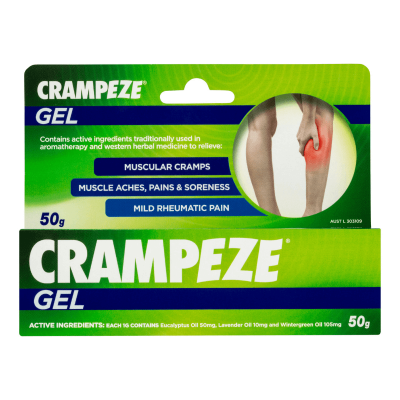 Crampeze can be taken every day and easily fit into your routine. 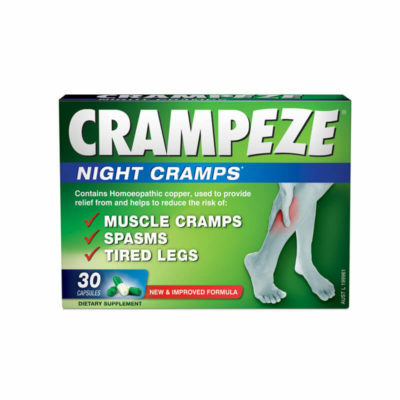 Leg cramps, also known as night leg cramps, are fairly common and occur mostly at night. Leg cramps are characterised by a sudden movement in the leg muscles, causing painful, involuntary contractions to occur. They can last from a few seconds up to a few minutes. Low levels of certain minerals such as electrolytes and some medications, such as diuretics for heart conditions and for high blood pressure, have also been cited as a cause of leg cramps. 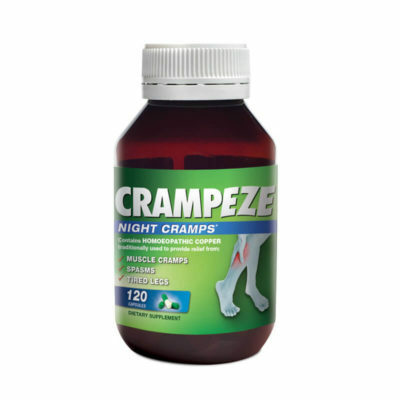 Some people suffer from chronic leg cramps and unfortunately, there is no definite cure at this stage. 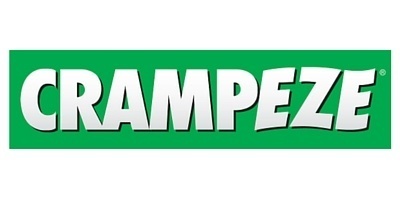 These people can take Crampeze long term to help combat these cramps.